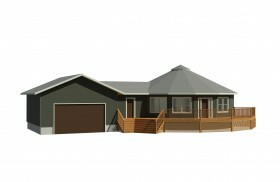 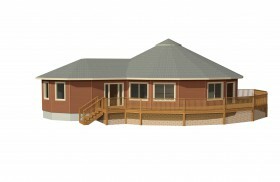 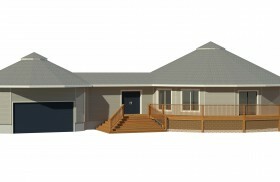 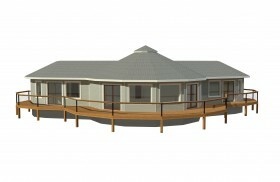 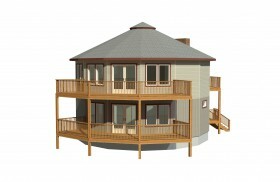 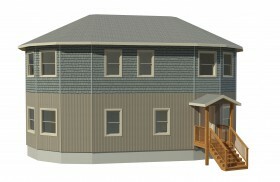 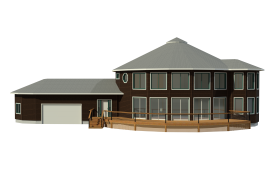 This 360° Collection Deltec home is great floorplan example for a large family! 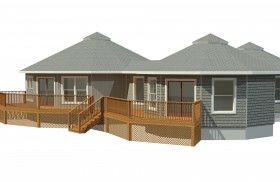 This six bedroom home has two common areas, one on each level, for optimal living space. 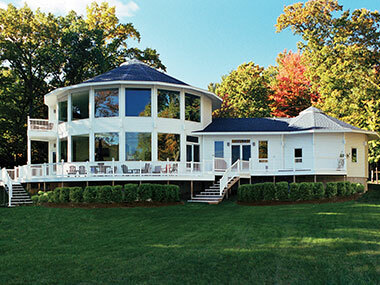 With the master bedroom and large master bath on the main level, these homeowners achieved privacy without being too separated from their children. 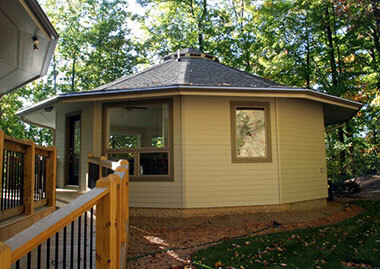 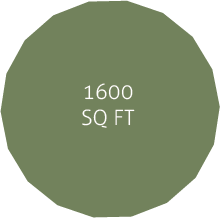 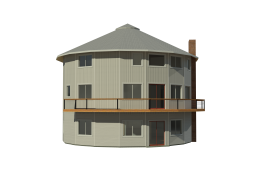 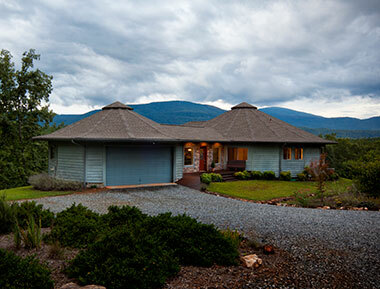 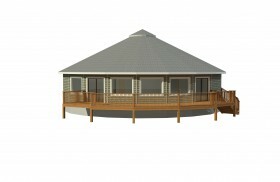 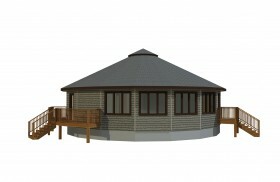 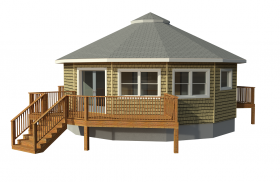 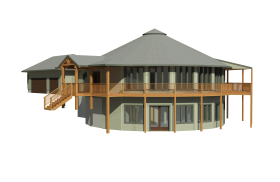 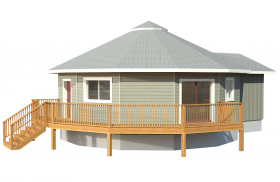 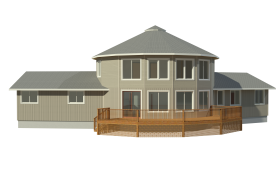 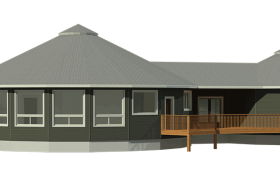 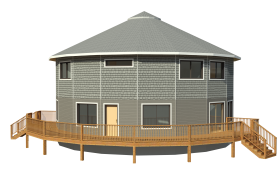 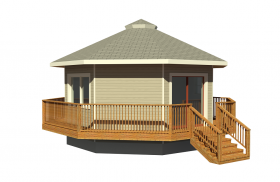 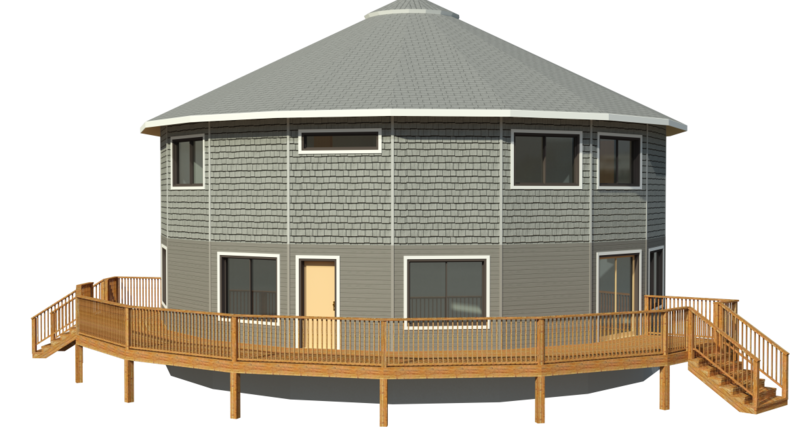 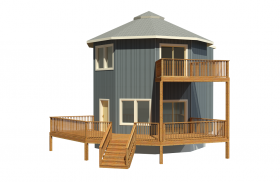 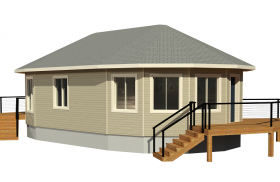 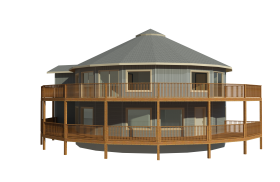 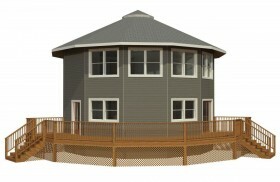 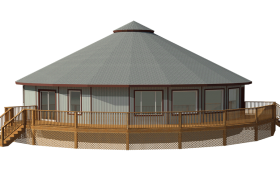 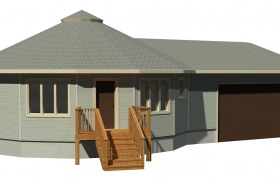 With no load-bearing walls, our round, prefabricated homes are flexible to fit your needs!